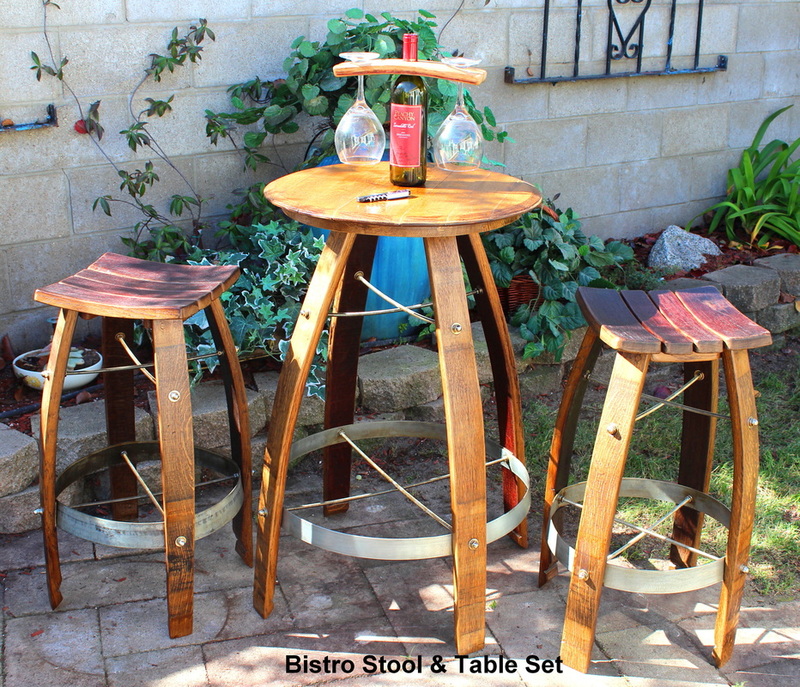 The Sonoma Bistro Set is comprised of a 36" Sonoma Bistro Table and two 28" Sonoma Bistro Stools. Each set is crafted from the matched components from a single barrel selected to provide a consistent uniform character to each set. 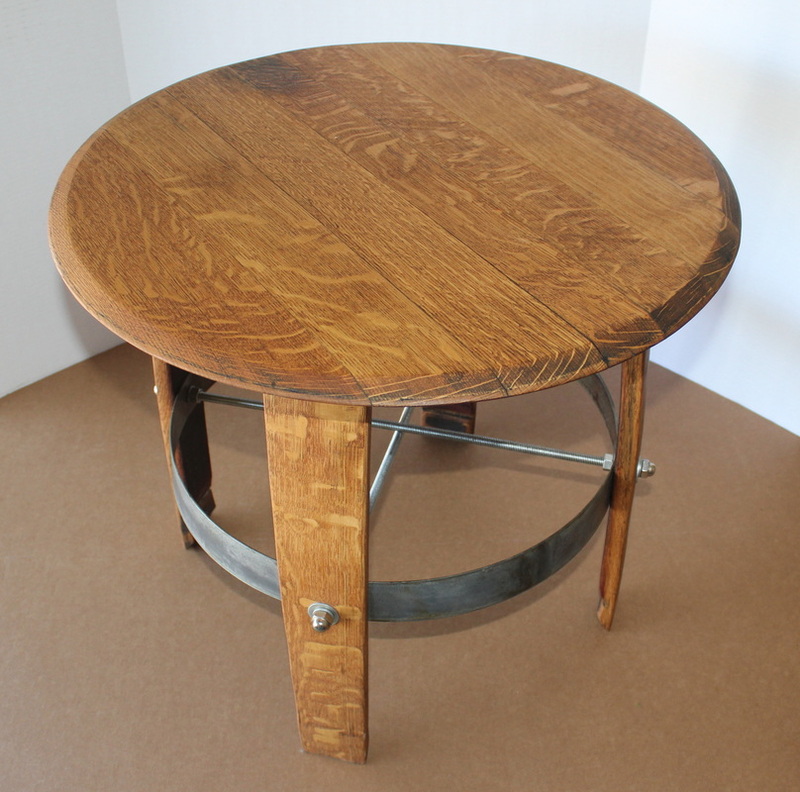 The Sonoma Bistro Table is handcrafted using selected staves, barrel head and hoops from a single recycled wine barrels. Care is taken to retain the original character and texture of the wine barrel components. The table top will have an nominal diameter of 22" but may vary depending on the barrel head selected. The Sonoma Bistro Table is finished with Minwax finish and Thompson water seal to provide warmth and moisture resistance. 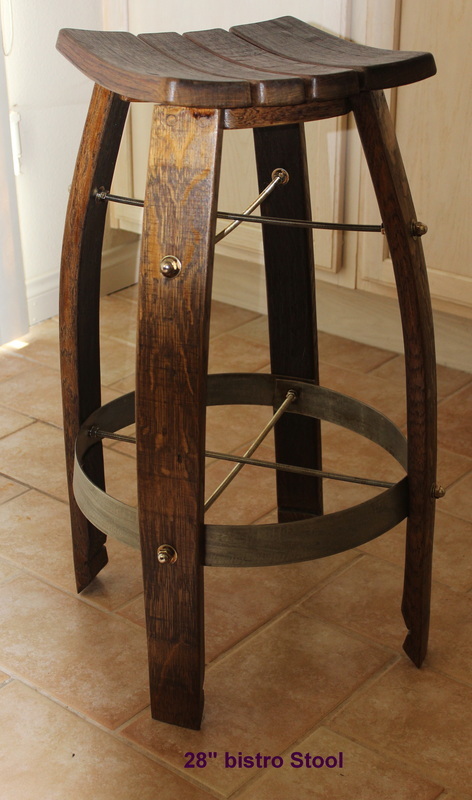 The Sonoma Bar Stool is handcrafted using selected staves and hoops from a single recycled wine barrel, Care is taken to retain the original character and texture of the wine barrel components. The seat of the stool is square 14 X 14. 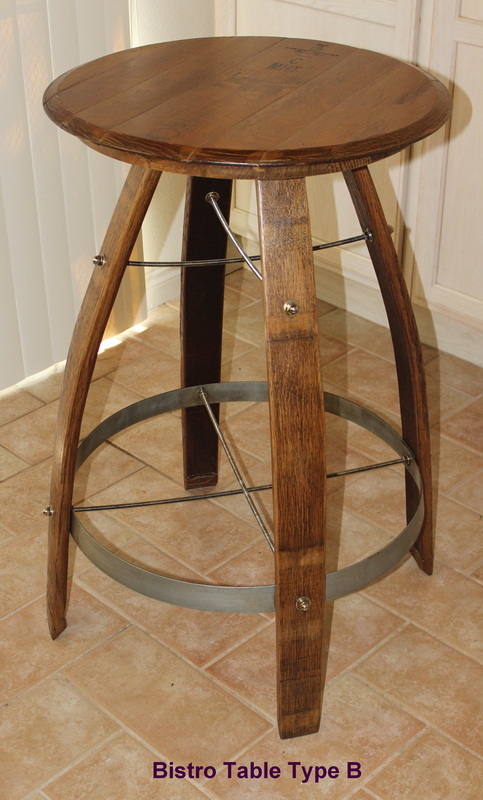 The Sonoma Bistro Stool is finished with Minwax finish and Thompson water seal to provide warmth and moisture resistance. 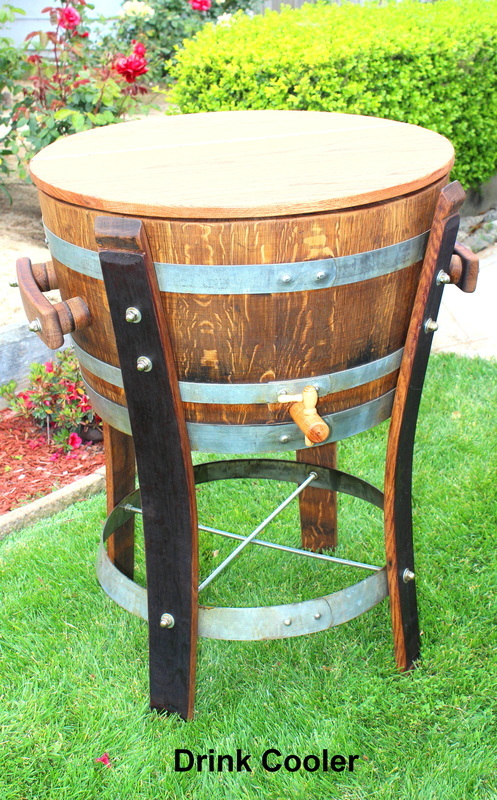 The Napa Wine Barrel Cooler handcrafted from selected retired oak wine barrels. coloring of the inside of the barrel to be seen while providing a water tight seal. The Sisquoc Bench is handcrafted from selected staves of the wine barrel to assure the unique beauty and texture of each stave. The Sisquoc Bench provides a comfortable and attractive bench for that special place in your home. 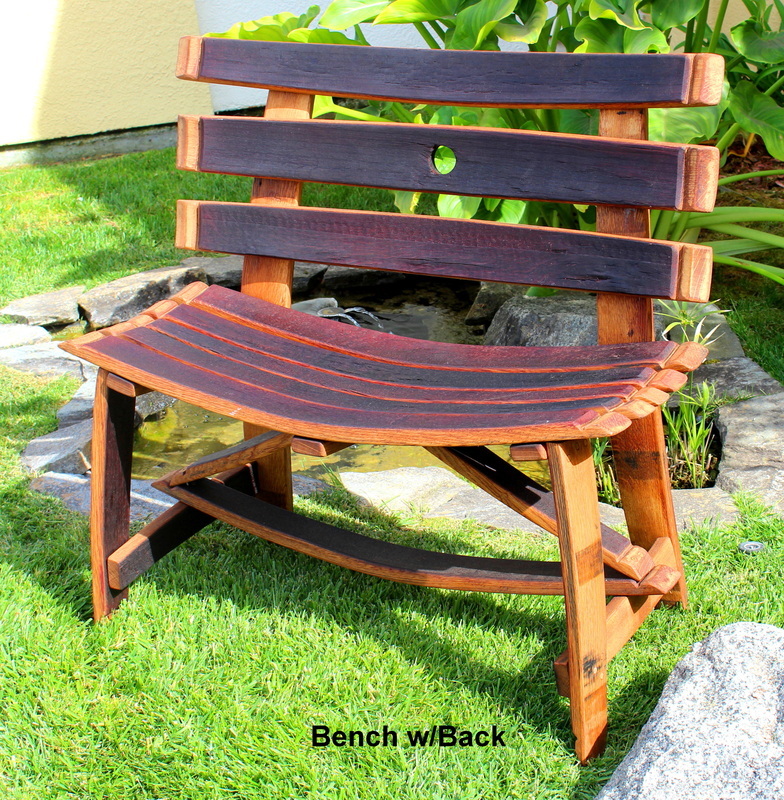 The Santa Barbara Casual Bench is handcrafted from selected staves of the wine barrel for their unique beauty and texture of each stave. 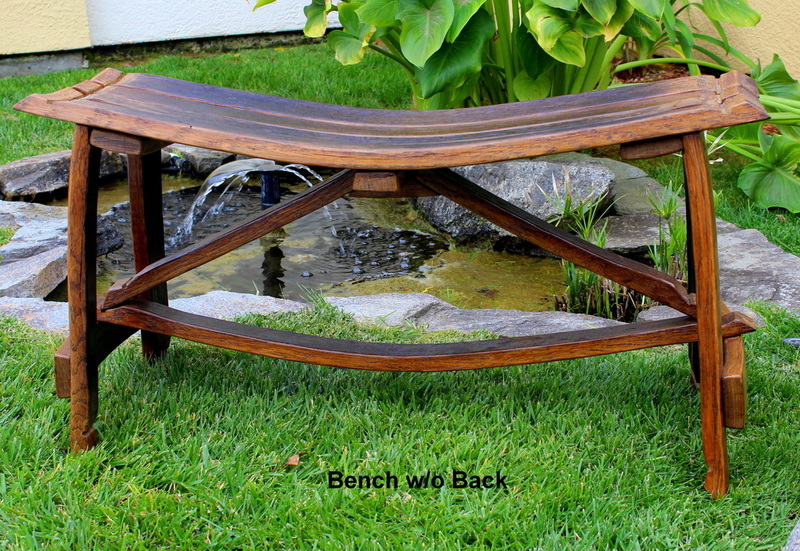 The Santa Barbara Casual Bench provide a comfortable and attractive bench for that special place in your home. your pet will love and your guest will talk about. A comfy padded bed is included with your purchase. The Carmel 18" Side Table is handcrafted using selected staves and barrel head along with the hoop of the barrel to keep with the true design of the original wine barrel. The Carmel is 18" high and the barrel head is 21" diameter. It is finished with Minwax and sealed and can be used inside or outdoors. 16" barrel head for the lower shelf. It is finished with Minwax and Thompson Water Seal to provide a UV and moisture resistence finish.